Tony Malinosky, former Brooklyn Dodger passed away last week in Oxnard, CA. He was 101. 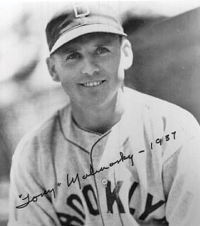 Malinosky held the distinction of being the oldest living major league player. He played in 35 games for the Brooklyn Dodgers in 1937.